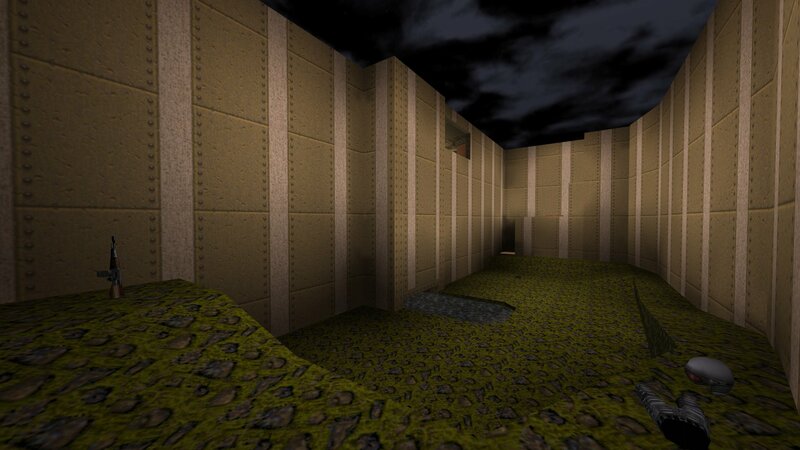 I have converted The Abandoned Base map from Quake. 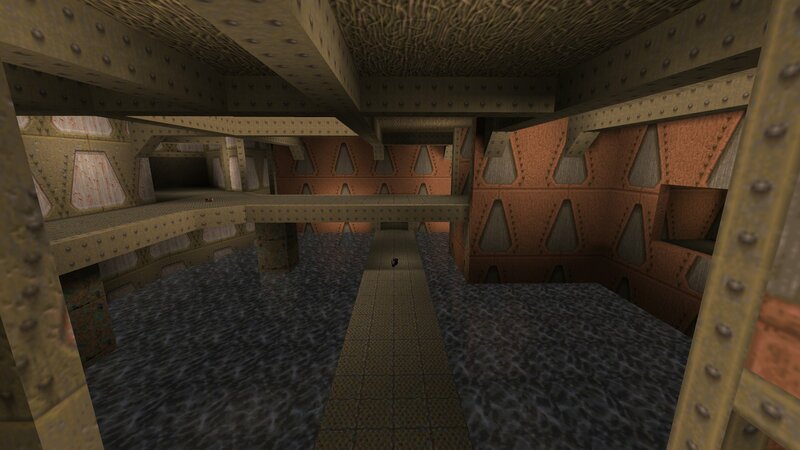 The map is the third death match level in Quake and was designed by John Romero. 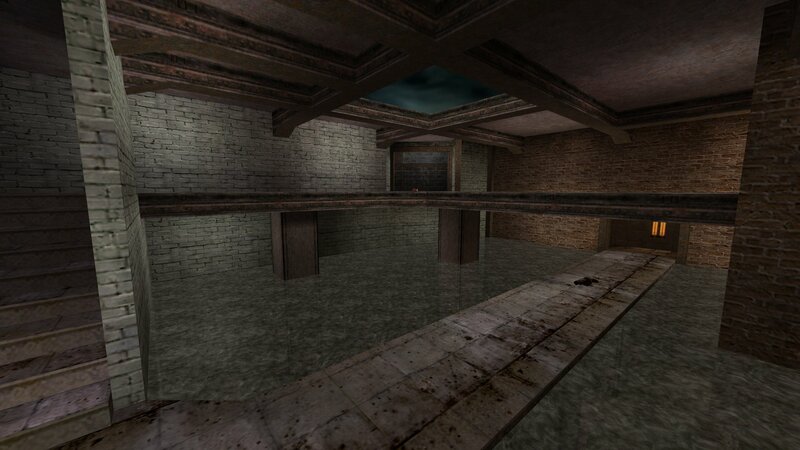 It's a large map and apparently is the most popular Quake death match level. I made two versions. 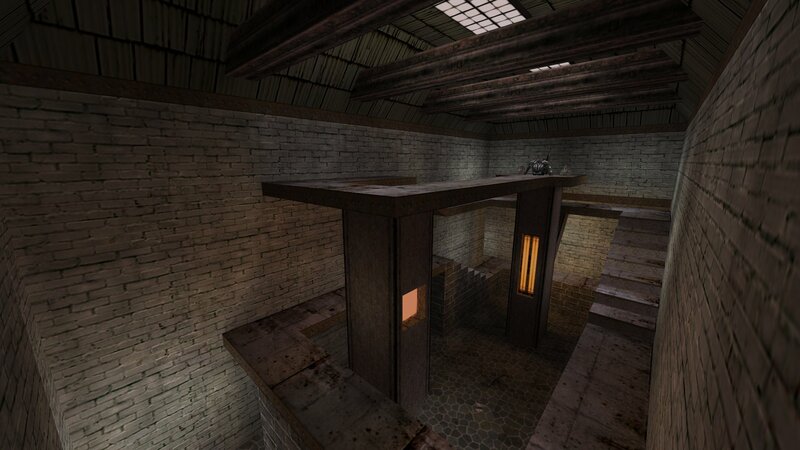 A straight conversion of the map keeping the original Quake textures (kpq1dm3) and a version with Kingpin textures and two small structural changes (kpq1dm3_v2). Update 14th April : The bug in kpq1dm3 has been fixed and I have uploaded the new version. Sorry about that.